Hozukito is a small island located in the gulf of Setouchi. It runs a terrible legend regarding football which haunts this island and that forbids practice. 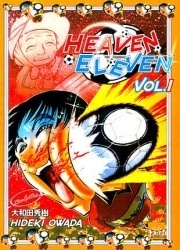 To make hush up about this belief, two secondary school students, Saigo and Okubo, decide to form a club of football in their secondary school : for it, they have to find 9 players which shall agree to play in spite of curse.